The yellow baboon is a baboon in the family of Old World monkeys. Yellow baboon is omnivorous with a preference for fruits, but it also eats other plant parts, as well as insects. Baboons are some of the world's largest monkeys. 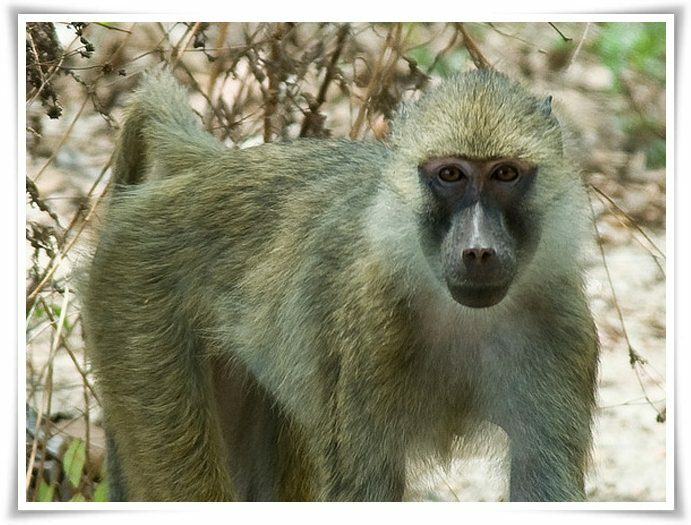 There are five species of baboon : olive, yellow, chacma, Guinea, and hamadryas. The three subspecies of the yellow baboon are: Papio cynocephalus cynocephalus (typical yellow baboon) Papio cynocephalus ibeanus (Ibean baboon). Baboons are highly opportunistic eaters and will eat almost any food they come across. Yellow baboons use at least 10 different vocalizations to communicate. The scientific name for yellow baboons comes from the Greek words kynos and kephalikos, meaning dog and head, respectively.